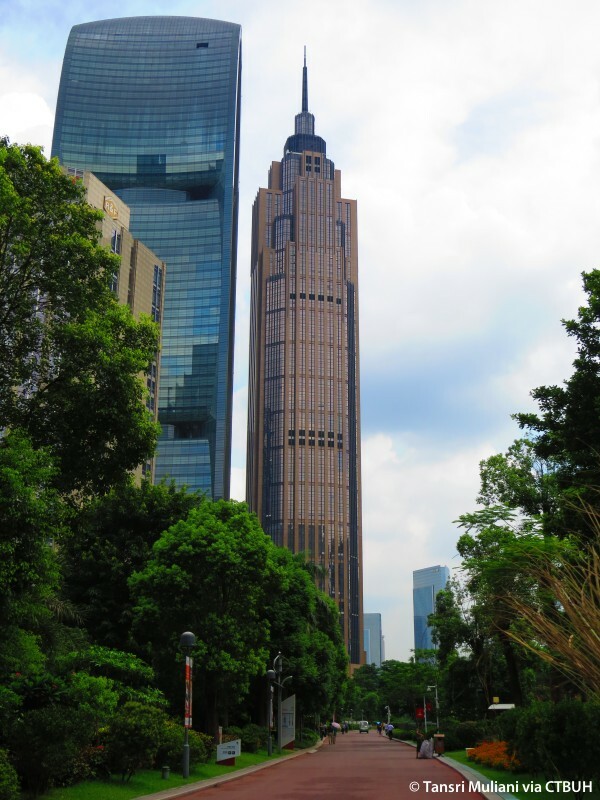 Owner/Developer	 Guangdong Sheng Ming Real Estate Development Co., Ltd. 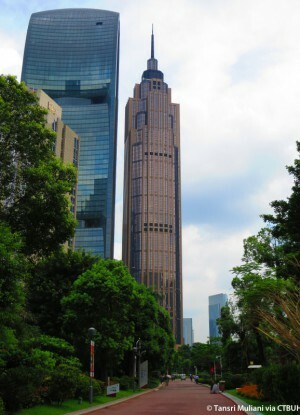 The Pinnacle is located in the Zhujiang New Town development within greater Guangzhou, which is home to the city’s purpose-built central business district. The tower’s central location provides easy access to most of the surrounding city via bus and rail transit. Nearby green spaces offer a quick escape for the many employees working within the building’s various offices. 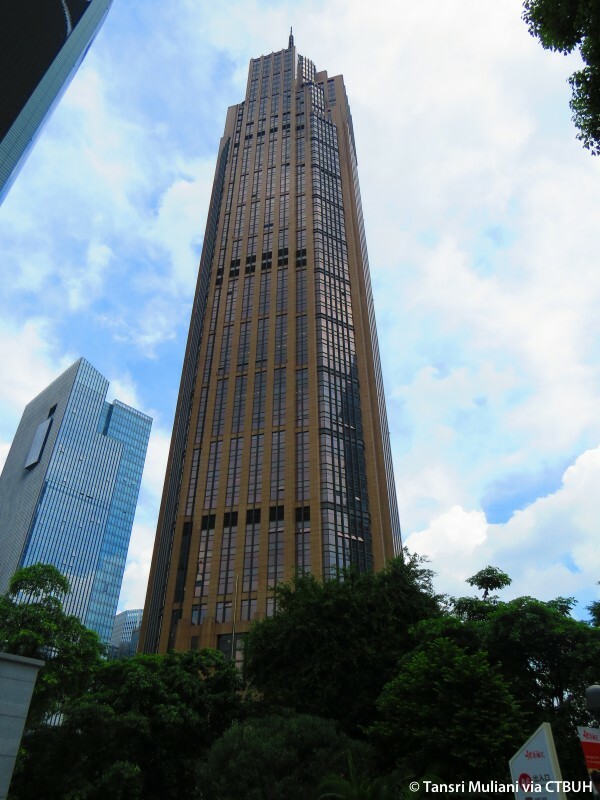 The Pinnacle stands out from its neighbors through its neo-classical design. A series of setbacks and granite-clad vertical stripes recall historic design elements like the flying buttress. Whereas most new buildings in China are clad in glass, this building uses a mixture of materials including granite and metal to add variety and depth to the exterior. Their combined effect results in a tower that not only appears neo-classical, but also hints at art-deco and neo-gothic influences. These western design elements are not only apparent on the outside, but are carried through to many interior details as well – as seen in the rational, yet tastefully decorated elevator lobby. Despite being inspired by the styles of old, the building employs state-of-the-art design components. Insulated glass keeps ultraviolet light out, while calcium sulfate flooring material prevents fires and damps excessive noise and static electricity. Energy-efficient lighting is also installed throughout the tower. These various systems have earned the building a LEED Gold certification. The tower rises to a literal pinnacle, as a spire caps the structure after it narrows through a series of setbacks. 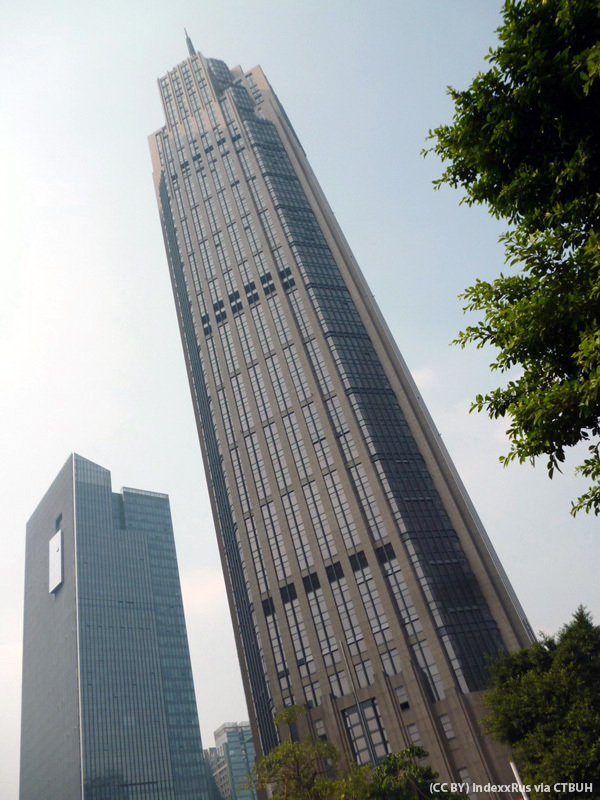 Its unique design sets it apart from nearby structures, including many of the towers both complete and under construction in the Pearl River Delta and China at large.